As the temperatures warm, road construction will begin to pick up across the D.C. area. And this Work Zone Awareness Week, a local traffic safety expert has tips to help drivers safely navigate through all those orange barrels. WASHINGTON — Standing just feet away from speeding cars, trucks and buses can make for a dangerous job, which is why local and national transportation leaders are pleading with drivers this week to slow down and pay extra attention when traveling through work zones. “It’s just us out there. You know, we’re not behind the wheel of a 2,000 pound car or a 4,000 pound truck. It’s us standing behind a 6-pound cone or a 15-pound plastic barrel,” said Paul Matticks, safety manager for the Virginia Department of Transportation’s Northern Virginia District. VDOT counted 592 crashes in work zones last year in just Arlington, Fairfax, Loudoun and Prince William counties. In Maryland, data shared by the State Highway Administration ahead of work zone awareness week shows that six people were killed in work-zone related crashes in 2015, the most recent year with full data available. Those killed included construction workers, drivers and passengers. Nationwide, the Federal Highway Administration said that 700 people were killed in work-zone crashes in 2015. Of those killed, 84 percent were drivers or passengers. “Just help us out so we all get home safe,” Matticks asked drivers. Among Matticks’ tips for drivers: Pay attention to signs warning of approaching work zones, slow down and move to a lane farther away from workers. “There’s a lot of near misses. More than I think people realize. And it just puts everybody in danger, our people and the citizens driving,” he said. More than 35,000 people were hurt in crashes nationwide, according to the 2015 data. A variety of factors contributed to those crashes including speed, cellphone distractions and road rage. Work zones on higher-speed roads like the Fairfax County Parkway or Prince William Parkway can pose some of the highest risks, Matticks said. “People are driving quick and fast, and they’re not expecting to see a road crew out there doing something. They tend to come on it a lot quicker, and sometimes there’s not a margin to get around or that margin for safety like there is on a multilane highway,” Matticks said. “(Drivers) don’t maybe pay attention as much on the smaller roads because it’s more common for them. That’s the road they take every day, so they’re not expecting to see a work crew out there Wednesday morning when they didn’t see anybody the last three weeks,” he added. 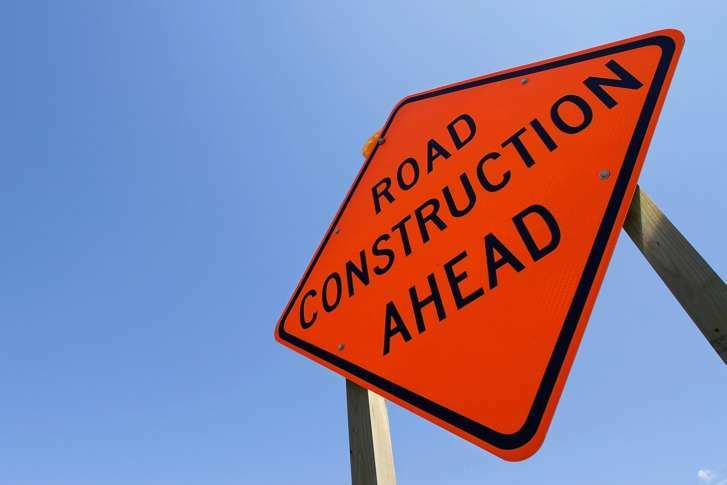 The annual work zone awareness week is timed to coincide with the start of construction and pothole-filling season, which begin as the weather warms up and the threat of snow wanes. Although workers typically repave roads, shore up bridges and perform other maintenance on dry, good weather days, Matticks warns that drivers still need to be aware on rainy days or after thunderstorms too. “Don’t get complacent when the weather gets bad … You still can see us for drainage issues, or trees or limbs down on the road or things like that. So we’re out 24 hours a day if there’s an emergency to take care of the road,” he said.